It's a bird! It's a plane! No!... It's SUPERAXEL! 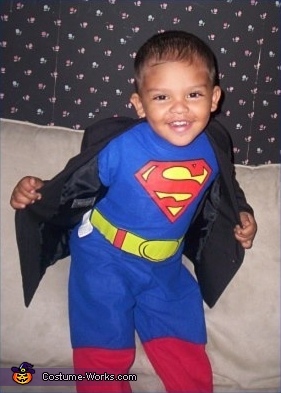 Above is Armani, as a lovable lil Red Devil, and brother Axel as Clark Kent... changing into Superhero SUPERMAN!